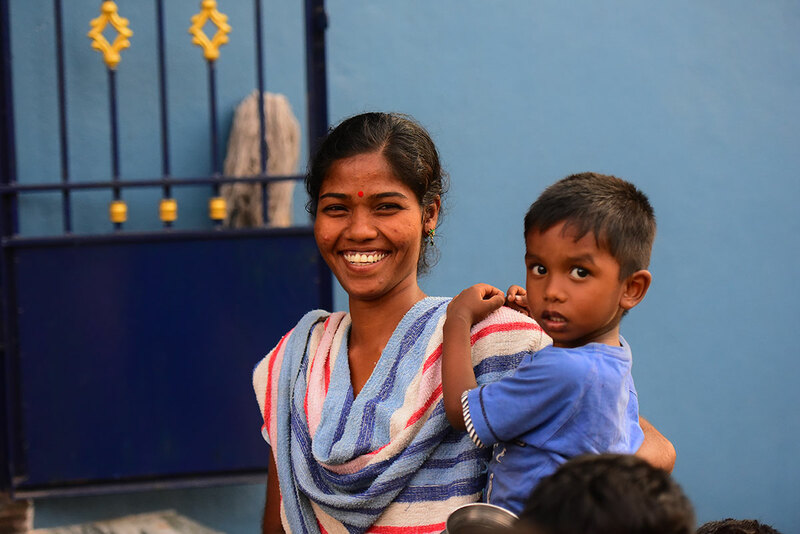 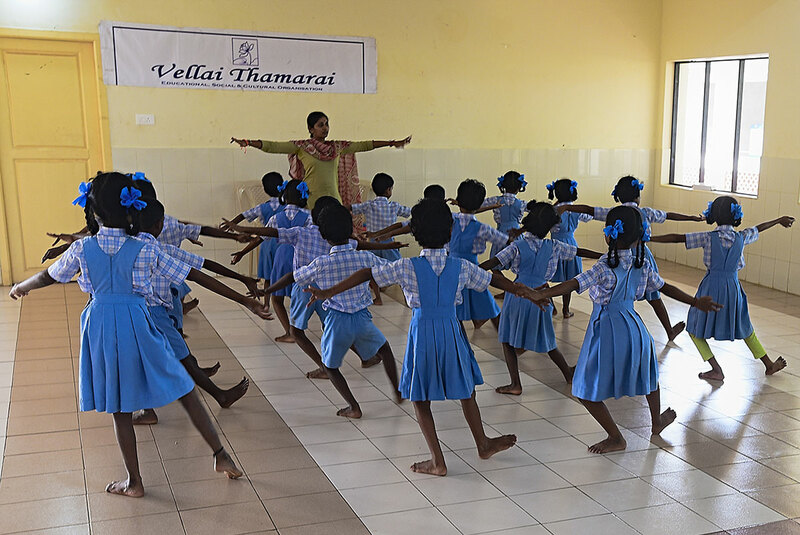 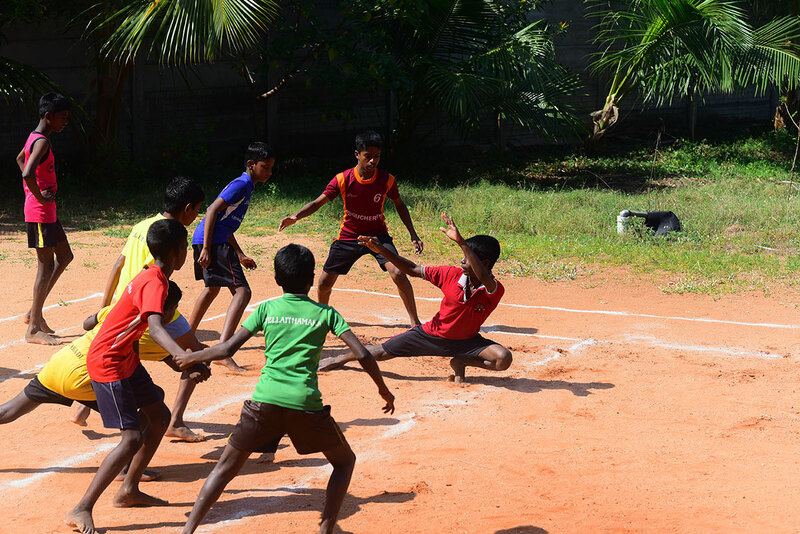 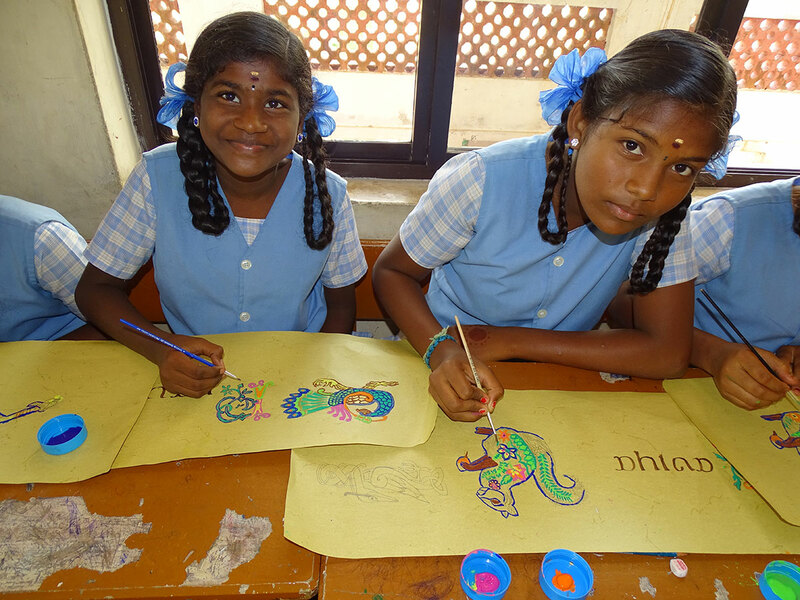 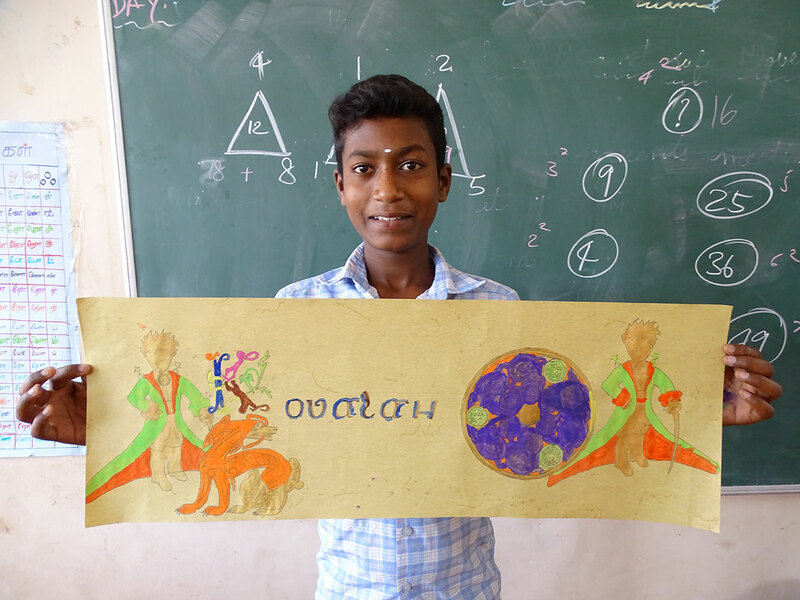 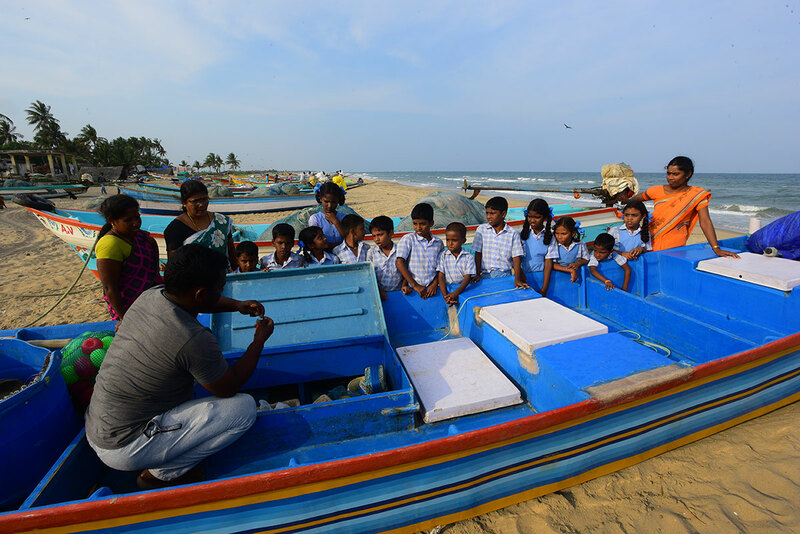 The Vellai Thamarai School is conceived to be a lively place, well integrated in its cultural, village environment. 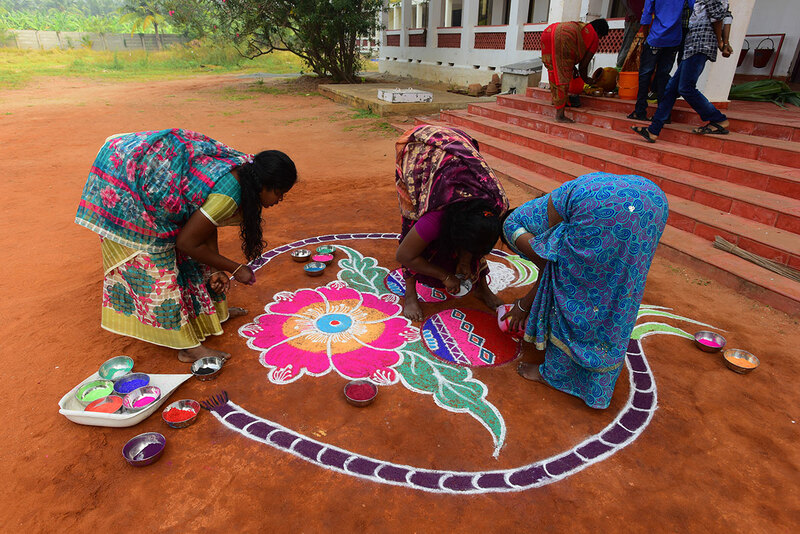 Families are invited at numerous occasions : parents’ reunions, various commemorations, ceremonies and festivals. 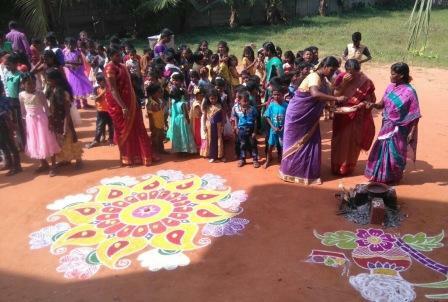 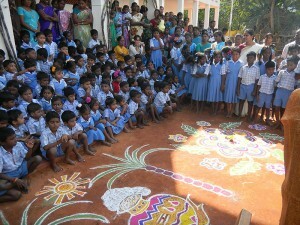 In India, the school year is marked by festival and celebrations: Independence Day (August 15th), Republic Day (January 26th), the Childrens’ festival, the Parents’ festival, the Teachers’ festival where children play the role of their teachers, the Harvest festival “Pongal’’(January 15th), a festival for the end of the school year, etc. 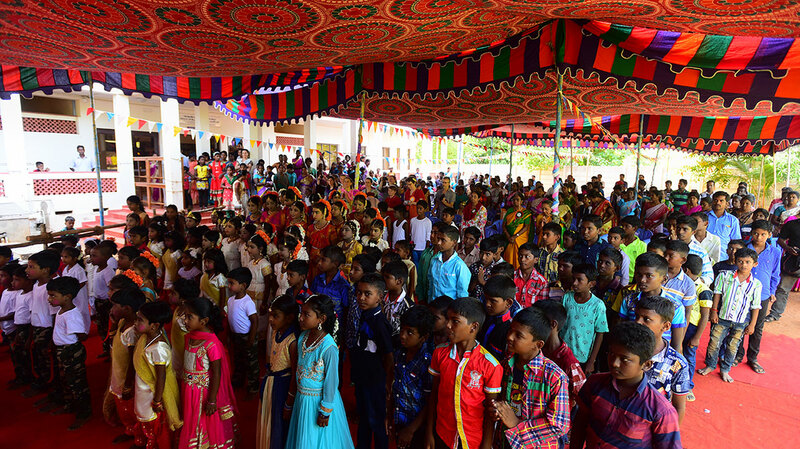 These gatherings are occasions for speeches, inviting local representatives, theatrical performances, dressing up and colourful decorations. 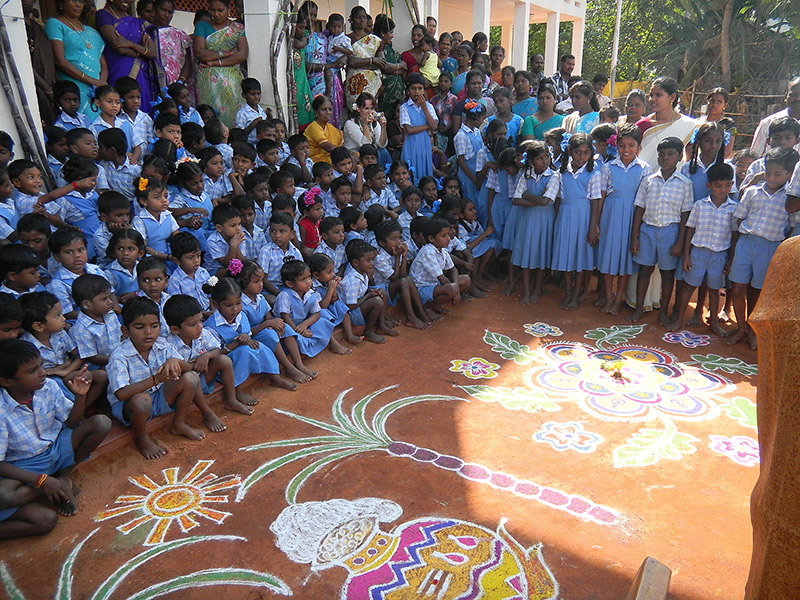 The School also offers events with a deliberate educational content. 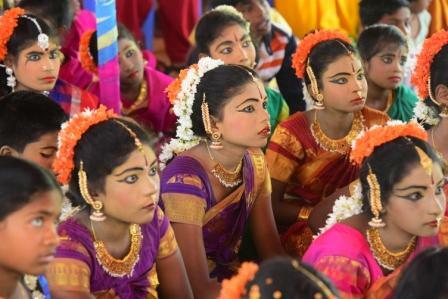 Numerous exhibitions are organized for creative activities and competitions are set up for sports. 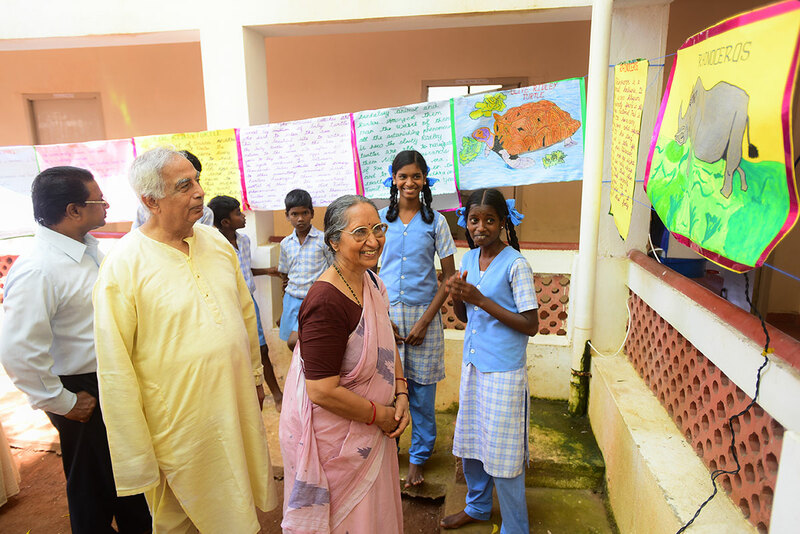 In 2013, a student won the inter-school poetry contest and received a prize from a regional officer before her illiterate parents and the School body. 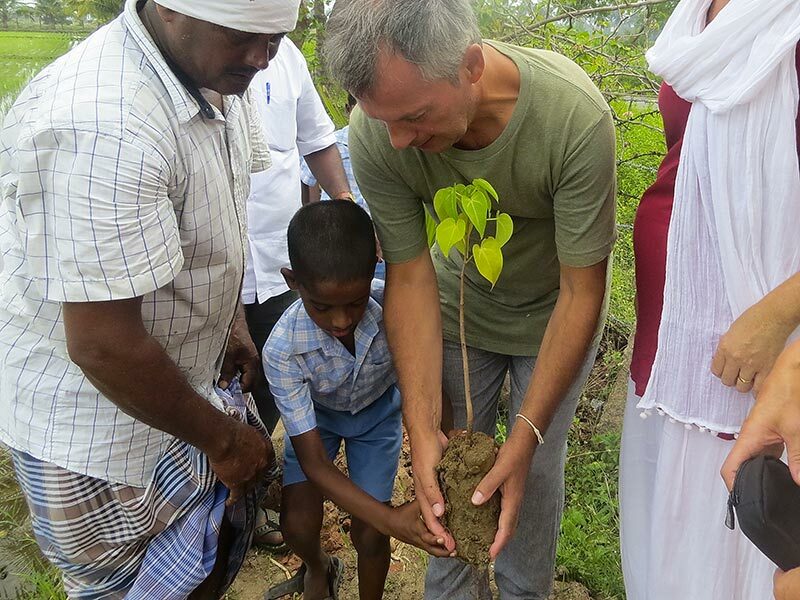 In June 2013, the school received a lot of 500 tree seedlings and a celebration was organized during which each student learned about ecology by planting a tree. 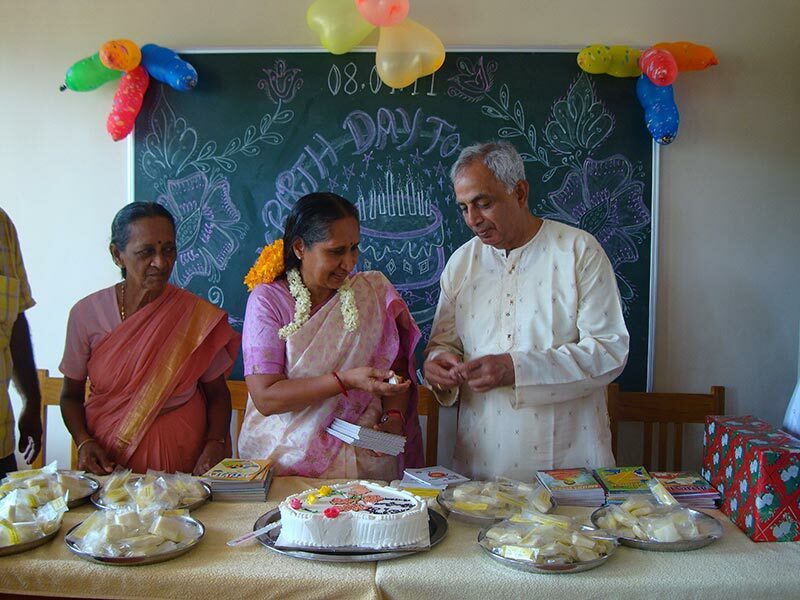 Students’ parents are regularly invited to reunions, where their opinions and ideas are solicited. 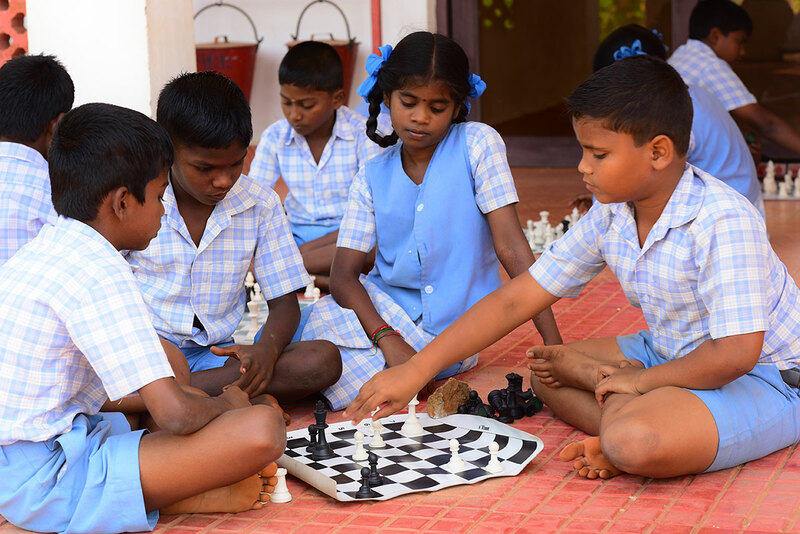 They gradually understand and accept some of the values of the school such as gender parity and hygiene, values often unknown and foreign to them.